Whether you like it or not, the history of Armenians in Diyarbakir and its area is now in the hands of the Kurds. They have unwittingly become the guardians of the memory of the gavurs (Infidels) deported to the exterminations camps of Ras Al Ayn, then death-marched through the Deir ez-Zor desert or of those exiled faraway for decades. Each Kurd you meet here has a story, big or small, to tell about Armenians. One will tell you that he remembers his childhood friend offering him eggs over the Easter holidays, another will explain that Armenians were those working iron or precious metals like no-one else or that such Armenian woman cooked like a goddess. These snippets of memory, often altered by time and which could seem very fragile, are nevertheless the important traces of a bygone past whose memory is forever suspended in the limbos of history. 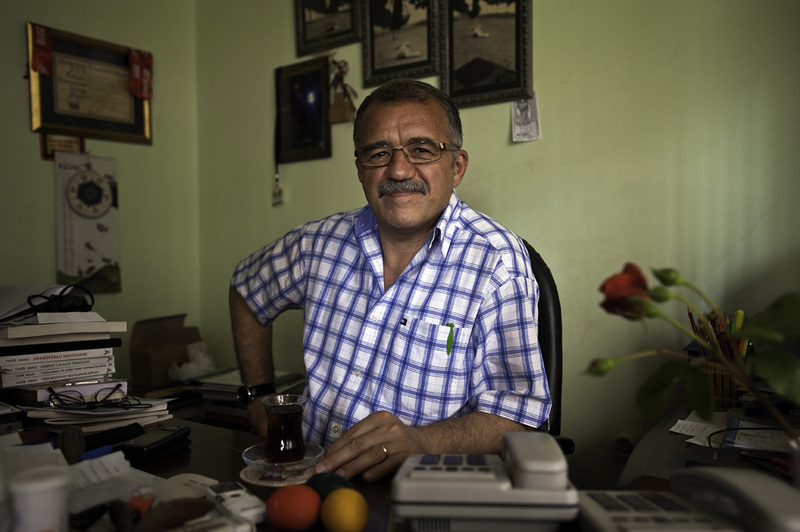 The person who perhaps best represents Diyarbakir and its past may be writer Seymus Diken. He wrote many books on his hometown and draws from his memories to revive the golden age of Amed, when Kurds, Armenians, Assyrians, Jews, etc. still lived together in relative harmony. “This town was neither monolingual, nor mono-religious nor mono-identity. It belonged as much to Armenians as to Kurds or to Assyrians. And even is some peoples have been eliminated through the great injustices of the past, what they lived, the places where they stayed and their memories still exist and are still talked about,” says the writer and signatory of the “I apologize” petition of Turkish intellectuals to Armenians for the 1915 massacres. During my interview with him, we discussed an important issue which constantly recurs in my talks with Kurds in the region and elsewhere: that of the tremendous loss caused by the destruction of Armenians followed by the flight of survivors – and, more widely, of Christians – from the area. ”The town got poorer economically but also culturally, intellectually and politically: it became uniform”, Seymus Diken cruelly sums up, then adding an important detail: “The Diyarbakir people are absolutely aware of this”.